Interior designer Marie Deroudilhe refurbished this cozy 75m2 (807 sq. 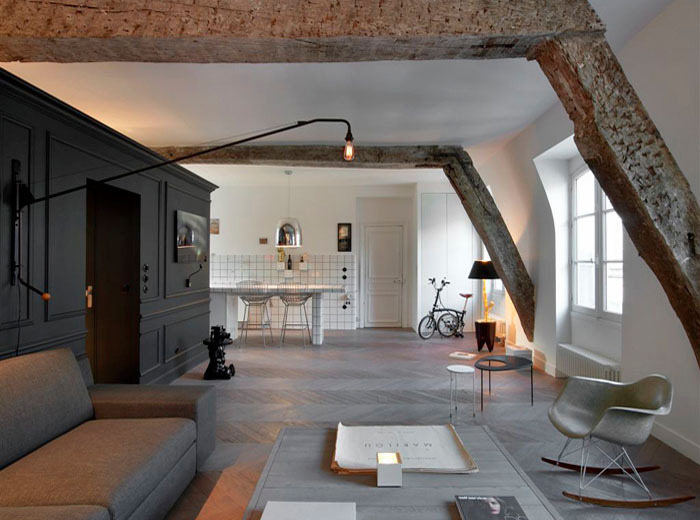 ft.) attic apartment on Rue Jacob in Paris, France creating a spacious feel to the small apartment. The original wood beams have been preserved to provide a stylish contrast to the contemporary decor.